The Fiji Meteorological Service has cancelled the strong wind warning previously in force for all land areas in the country. However, it reported it forecasts cloudy periods with a few showers over the eastern parts and interior of larger islands. Elsewhere, is fine apart from possible afternoon of evening showers and cool at night, the update from its website said. It comes after a weekend of rain with strong winds and flooding in parts of the group. 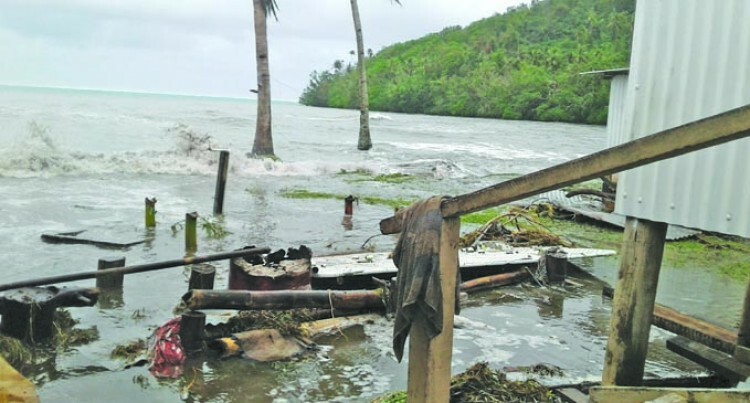 On Sunday, villagers of Tabuya in Kadavu had to move to higher ground because of sea flooding during the high tide. Yesterday, flooding continued in parts of the central division where residents have attributed to drainage issues. These included areas visited by Fiji Sun were Wainibuku Road, at Sasawira Settlement in Farm Road, on River Road in Narere and Waidamudamu Settlement in Koronivia. For Waidamudamu Settlement some residents could not go to work or school because of flooding. Jagdish Prasad, who has lived there for more than eight years, said it has always been the problem whenever there was heavy rain. “This is a low lying area and whenever it rains, there is no doubt, this place will be flooded,” Mr Prasad said.